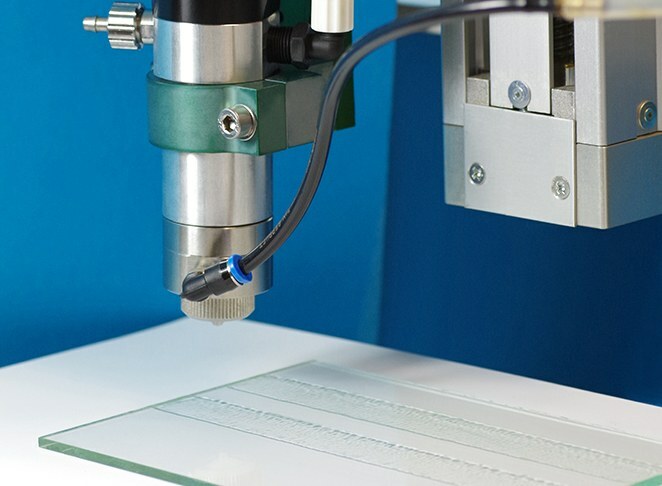 preeflow® eco-SPRAY precise volume dispenser from ViscoTec is the ideal solution for even and fast application of Panacol maskings and conformal coatings. The new technology yields perfect results with exceptional edge sharpness whether spraying low- or high-viscosity UV adhesives. 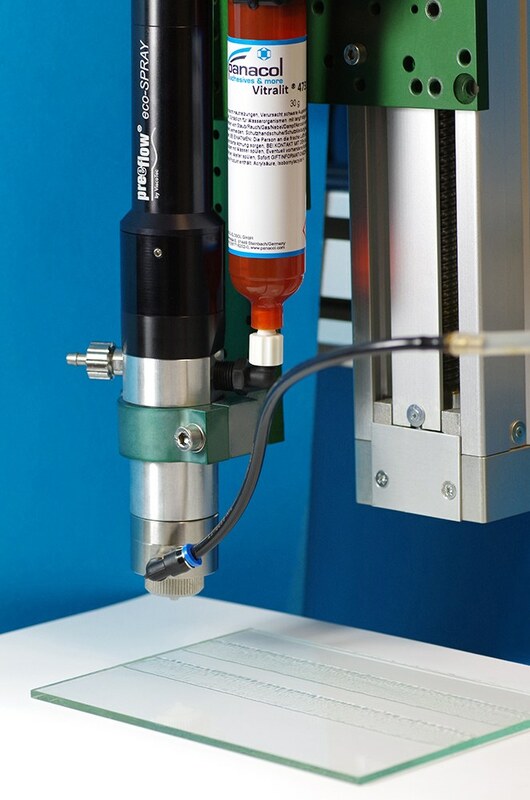 Spraying high-viscosity adhesives from Panacol onto large surfaces at more than 10,000 mPa becomes child’s play with the eco-SPRAY from ViscoTec: the new dispenser makes short work even of highly viscous and stable materials, such as Panacol’s liquid seal Vitralit® FIPG 60102 or masking compound Vitralit® MASK 20102. The purely volumetric dosing of the eco-SPRAY system uses the endless piston principle to precisely meter and apply exact amounts regardless of their viscosity and supply pressure. Spray system eco-SPRAY for the application of Panacol adhesives – for maskings and conformal coatings. A company of the Hönle Group, Panacol-Elosol GmbH is an internationally active provider in the growth market of industrial adhesives. Together with Dr. Hönle AG, a global leader in industrial UV technology, Panacol is a reliable systems provider for adhesives complete with suitable curing technology. ViscoTec Pumpen- u. Dosiertechnik GmbH develops and produces mainly systems for conveying, metering, filling and applying products with dosing components for semi- and fully-automated production facilities, and for emptying medium- to high-viscosity fluids. Especially with its own preeflow® brand, ViscoTec offers its customers precise, reliable, rapid and sophisticated solutions. With its high-quality applications and products, ViscoTec’s portfolio is clearly positioned in the premium market segment.